This is a pneumatic gas lift adjustable height stool. It comes in a brushed stainless steel finish, and Polyurethane upholstered seat. 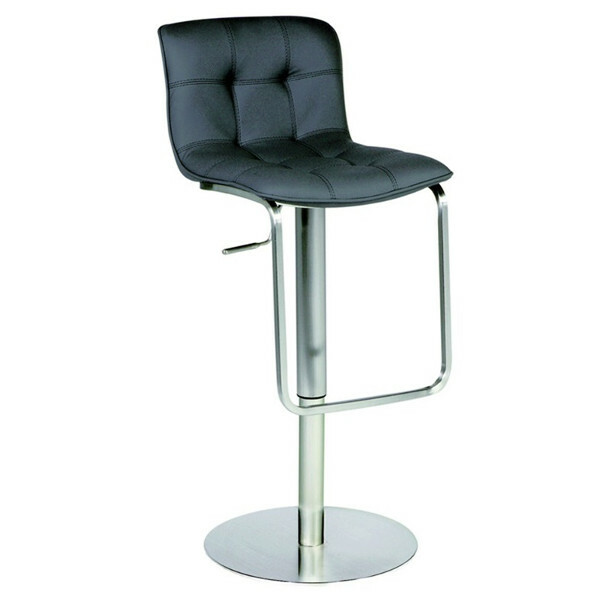 The height adjusts from counter stool height of 23'' up to the bar stool height of 32''.